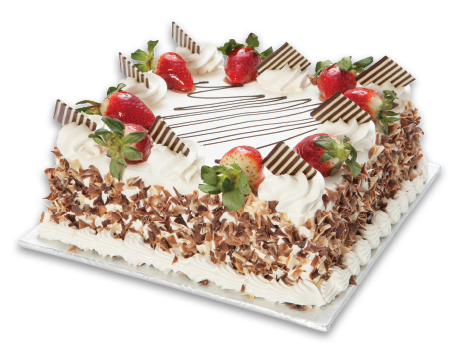 This strawberry lovers delight combines layers of smooth cake with layers of light custard and fresh strawberries. 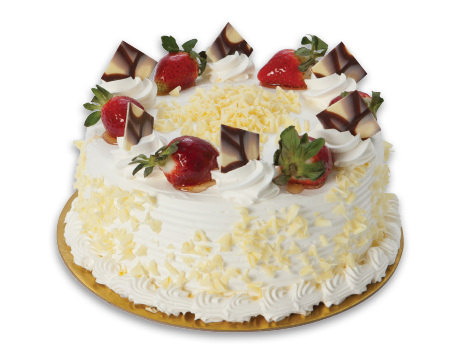 Decorated with glazed strawberries and loads of white chocolate curls. Imagine three layers of puff pastry baked to perfection. Now, we layer them with custard and fresh plump strawberries. Decorated with glazed strawberries. Three layers of golden puff pastry layered with vanilla, hazelnut and chocolate custard. Decorated with praline pieces and chocolate flowers. 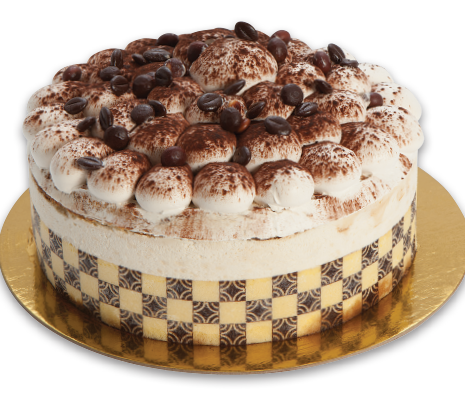 Irresistible amaretto mascarpone filling sandwiched between layers of coffee sponge cake and ladyfingers dipped in coffee syrup. 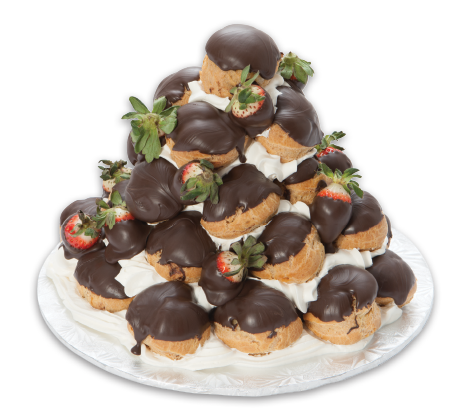 Delicious chocolate covered custard filled cream puffs, accented with strawberries and whip cream. 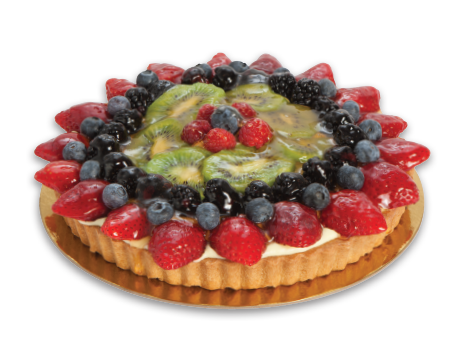 A sweet dough-crust filled with custard and topped with seasonal fresh fruit. Three layers of vanilla sponge cake, layered with vanilla buttercream. Decorated with sugar roses and elegant trim. Best served at room temperature. Three layers of chocolate sponge cake, layered with chocolate buttercream. 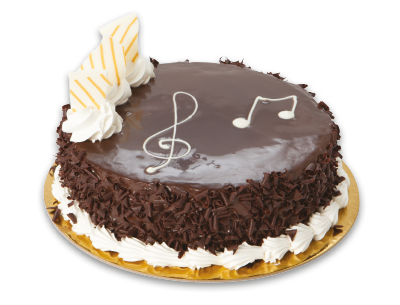 Decorated with chocolate decor and elegant trim. Best served at room temperature. 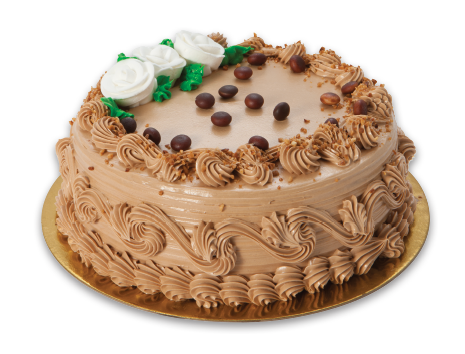 Three layers of vanilla sponge cake with two decadent layers of hazelnut buttercream. 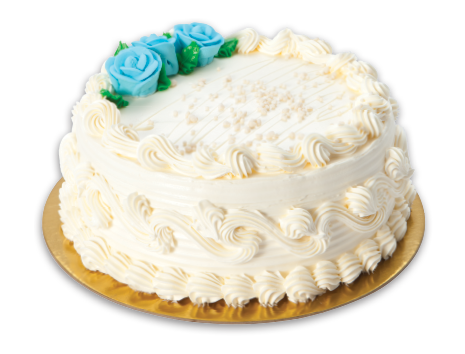 Decorated with sugar roses and elegant trim. Best served at room temperature. 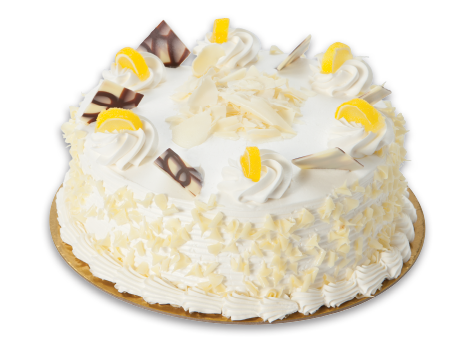 A light and refreshing cake made with Vanilla sponge cake layered with fresh lemon mousse and lemon custard, covered with real whipped cream. 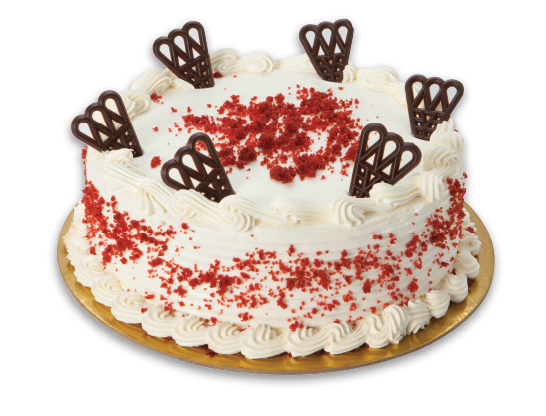 A moist chocolate cake coloured bright red and layered with a delicious buttery cream cheese frosting. 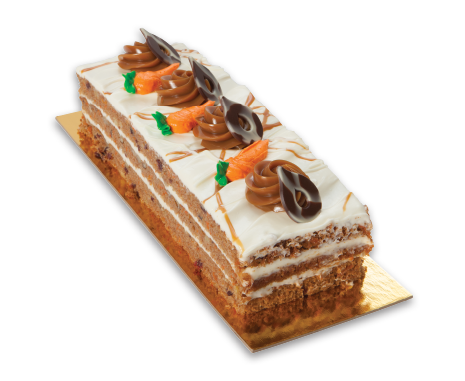 A moist carrot cake studded with walnuts, layered with a buttery cream cheese frosting. Topped with iced carrots. 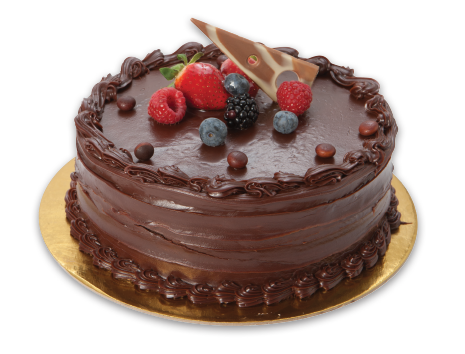 A light Belgian chocolate mousse sandwiched between three layers of velvety chocolate sponge cake. A dark chocolate ganache finishes this enticing dessert. 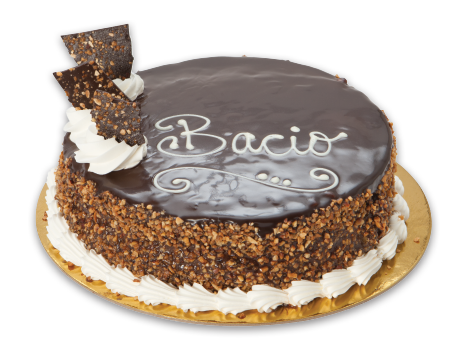 This decadent delight is layered with moist chocolate sponge and smooth chocolate hazelnut cream with roasted hazelnuts. Then enrobed in a Belgium chocolate ganache and topped with chocolate praline decorations. 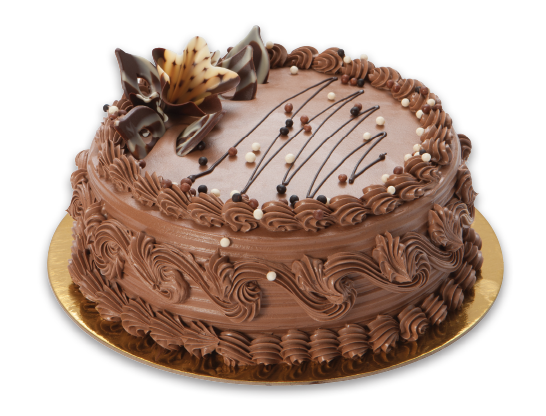 A decadent cake for the chocolate lover. Chocolate sponge cake layered with a rich chocolate mousse, covered with a double chocolate fudge icing. 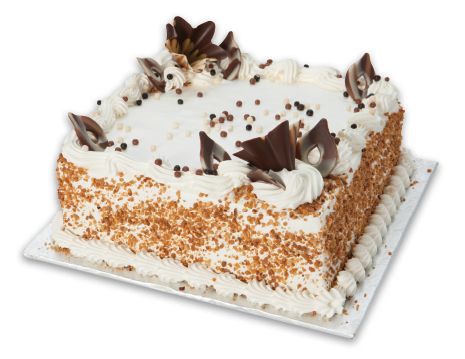 Three layers of white sponge cake soaked with real rum and layered with vanilla and chocolate custard. This one has been a favourite of our Italian customers for many years. 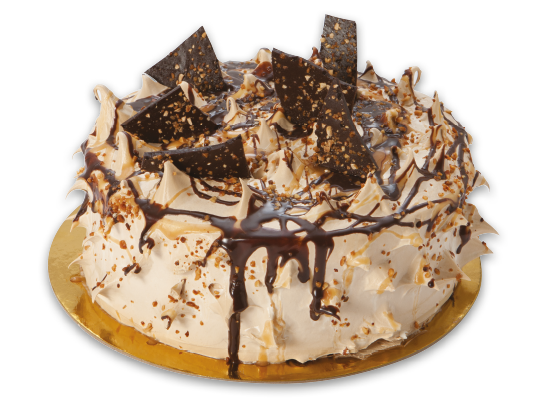 We start with a sublime combination of chocolate and caramel mousse between three layers of golden sponge cake, we then finish it with pralines and a drizzle of caramel and chocolate ganache. 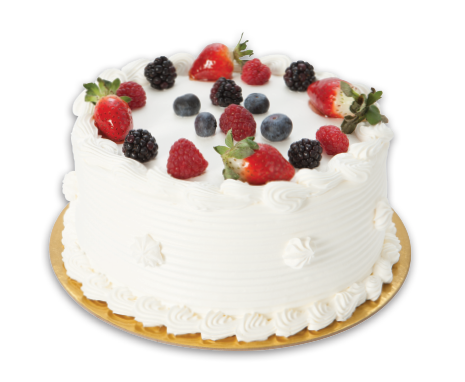 Three layers of white sponge cake, alternated with custard and an assortment of fresh seasonal berries. 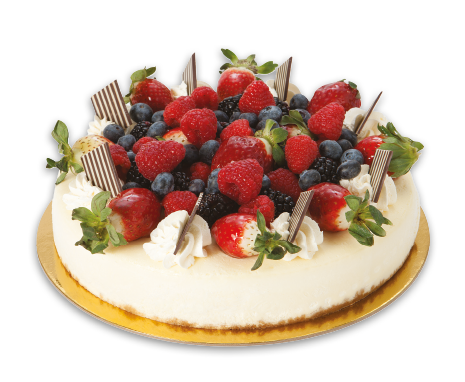 Decorated with assorted fresh berries. 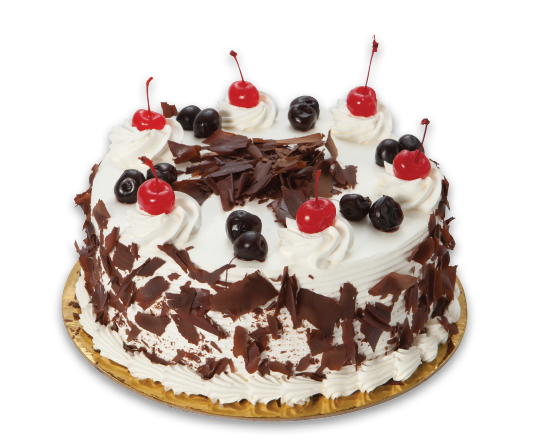 Chocolate sponge cake layered with sour cherries nestled in 35% cream. 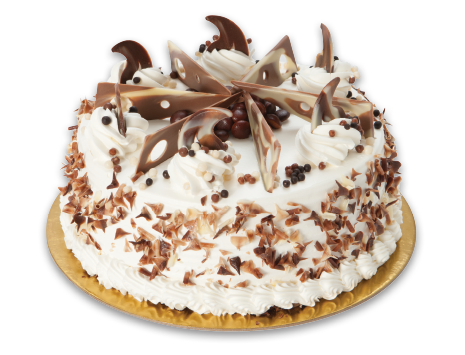 Decorated with amarena cherries and loads of chocolate shavings. 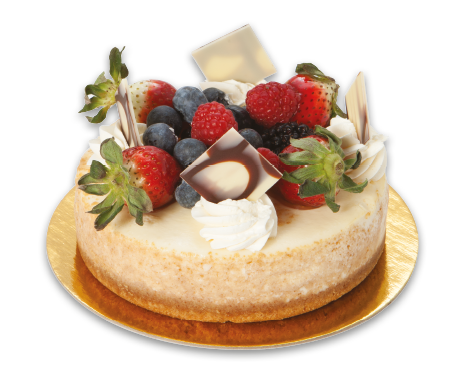 Our New York Style cheesecake swirled with chocolate is topped with cream and fresh berries. 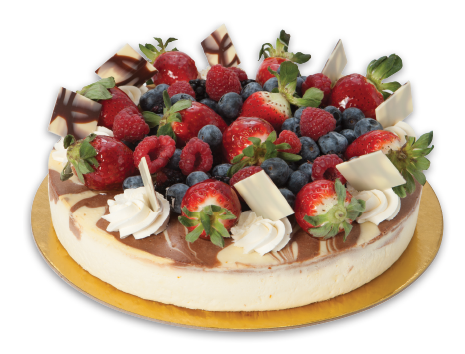 Our New York Style cheesecake is swirled with cherry filling and topped with fresh berries and chocolate decor. Our New York Style Cheesecake is topped with fresh seasonal berries. It is simply decadent. 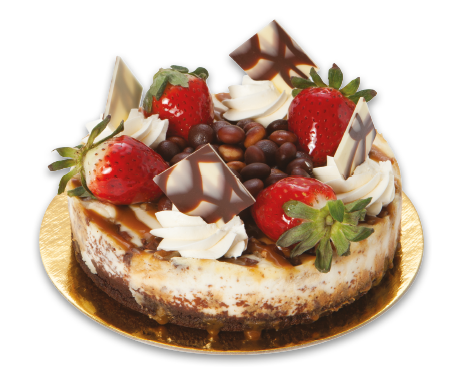 Our New York Style cheesecake is baked over brownie crust. Filled with caramel, chocolate and pecans. Topped with strawberries and chocolate decor. Our New York Style cheesecake is baked over a chocolate crumb crust. 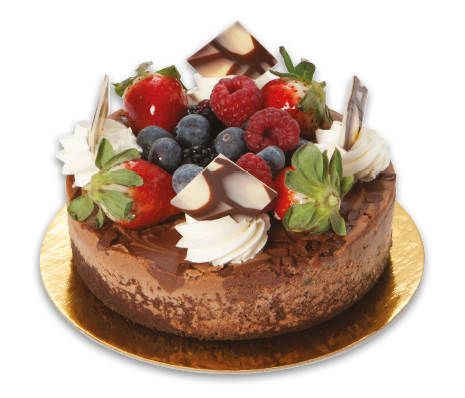 Chocolate cheesecake, topped with berries and chocolate decor. 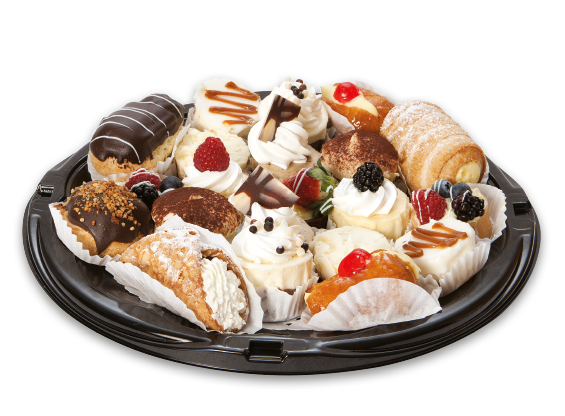 An elegantly arranged assortment of mini pastries, including traditional favourities such as Ricotta Cannolis, Fruit Tarts, Cream Puffs, Chocolate Mousse and Cheesecake. 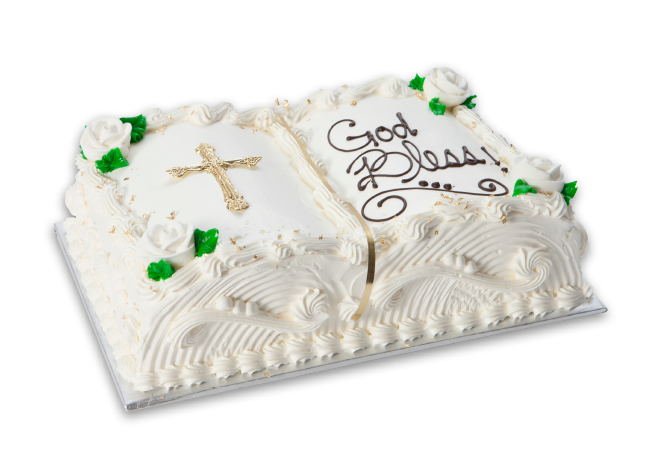 Our Bible Cakes are available in three sizes only in the following flavours: Bacio,Caramel Explosion, Italian Rum, Vanilla Buttercream, Chocolate Symphony, Strawberry shortcake and Tutti Frutti.